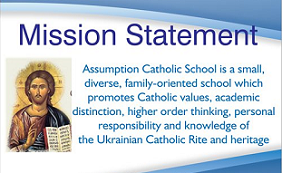 ACS is conducted by the Ukrainian Catholic Church (click to visit) of the Assumption Parish and is staffed by the Missionary Sisters of the Mother of God and dedicated lay teachers. We are fully accredited by the Commission on Elementary Schools – AdvancED. Our students come from Perth Amboy as well as from surrounding communities; including Monmouth, Somerset and Union Counties. 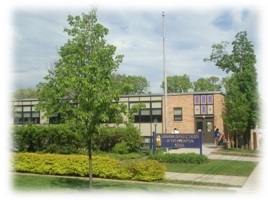 ACS features a full-day Pre-Kindergarten (age 4) through 8th grade on a single campus. This offers a single drop-off and pick-up point for families with more than one elementary school child. Family-oriented with small class sizes; ACS promotes Catholic values, academic excellence, patriotism, individual thinking, personal responsibility, and civic duty. Recognizing the family as the heart of Catholic education, ACS values the role and contribution that parents make in obtaining the best educational opportunity for their child. Your children are dear to us and all our work and efforts are expended on their behalf!